Synthetic life may help us understand life on other planets. 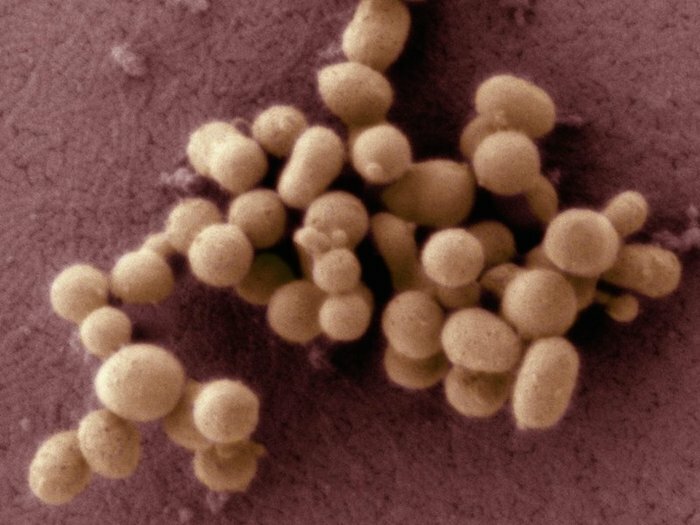 A research group led by biotechnologist Craig Venter and lead author Clyde Hutchison reports in this week’s Science magazine that they have synthesized a microbe with the smallest genome known to date. While most bacteria have 4,000 to 5,000 genes to control all their life processes, the synthetic cell JCVI-syn3.0 contains a mere 473 genes, fewer than any known natural organism. The goal of the Venter group is to build genomes by chemical synthesis, then install them into receptive cellular environments, a goal they first achieved in 2010. This is a marked step forward, and should lead to new understanding of which genes are responsible for what functions, not only in microorganisms but eventually in humans as well. The research may also lead to exciting new applications, such as engineering cells with new metabolic pathways to break down contaminants. Most researchers in this field have tried to design reduced genomes by deleting certain genes within an existing microorganism, then testing whether that organism can still grow and reproduce. The Venter group took a more ambitious approach by attempting to design and build a reduced genome from scratch. Their starting point was their previously synthesized organism JCVI-syn1.0, the genome of which they transplanted into the cell of another microorganism six years ago. Both cells belong to the Mycoplasma group, a genus of parasitic bacteria without cell walls that already has a relatively small genome. After an arduous process of trial and error, the Venter group has now achieved their best approximation of a minimal cell, which is viable in a controlled lab environment. JCVI-syn3.0 (the acronym stands for J. Craig Venter Institute) has 531,000 base pairs of DNA, while the parasitic Mycoplasma genitalium, the current record holder in nature, has 580,000 base pairs. However, it’s important to put this no-doubt great accomplishment in perspective. We’re still light-years away from nature’s ability to not only invent a genetic code from scratch, but also to build a viable cellular environment from simple chemicals, which the Venter group took from an existing natural organism. Also, we should remember that Syn3.0 still has 149 genes with unknown biological functions. Synthetic microorganisms with even smaller genomes are likely in the cards. What does all this have to do with the search for life on other planets? For one thing, the research has great potential to shed insight on the possible diversity of life in the universe as well as the origin of life on Earth. The common ancestor of all terrestrial life was likely a microorganism with only essential functions and (probably) a much smaller genome. Progress in identifying that ancestor can be expected by combining a bottom-up approach—investigating how macromolecules came together to form the first cell—with the top-down approach as pioneered by the Venter group.